I'm poor. But I AM rich in my desire to make cool stuff and share it. Also Simpson's quotes. So...not a whole lot of for REALS valuable stuff. So I need you to help me make fun, weird stuff and put it out into the world. This. And also stuff like this. 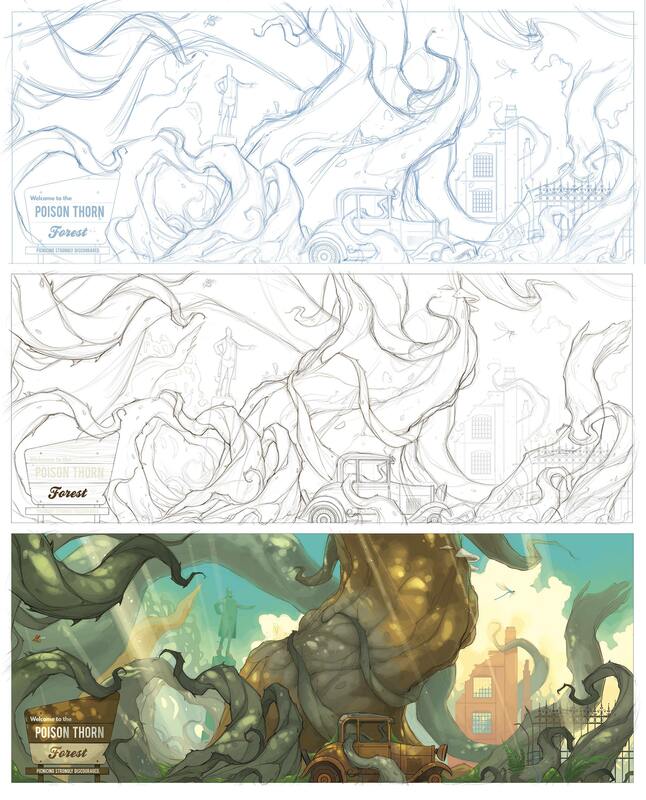 Namely: Cool posters, sketches, process videos, character concepts, and all manner of radness. And you'll basically be a publisher/investor in books created by the same fevered imagination that ginned this stuff up. 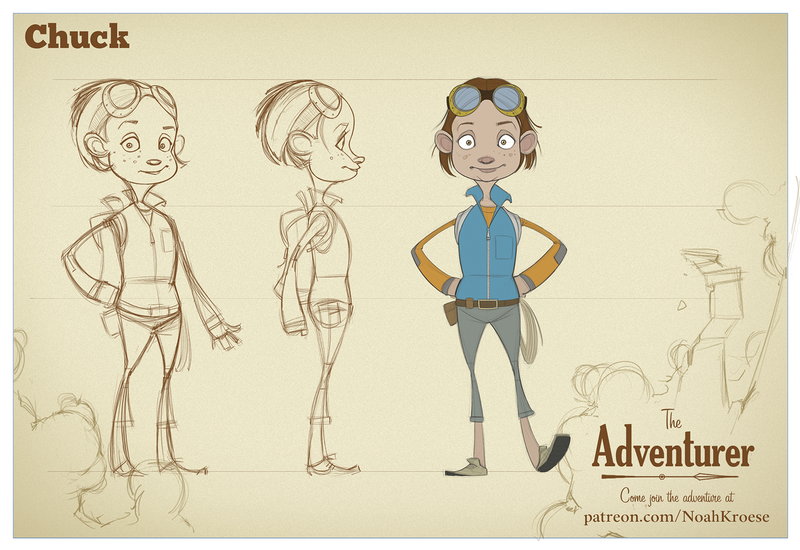 Introducing “The Adventurer”, my brand-spankin' new book about a curious and fearless inventor and explorer named Chuck, her dumpy, sullen teenage brother Lug, a doomed Victorian expedition, and the search for a treasure with a curse so dark it stains history. It will be EPIC. I’m crazy, crazy excited about this new book. Why? It has everything that’s worth having in a book (if you’re the same sort of weird I am): long-forgotten treasure, a dark curse, exotic locations, terrifying monsters, ancient machines, abandoned cities, and dumb jokes. What do you say? 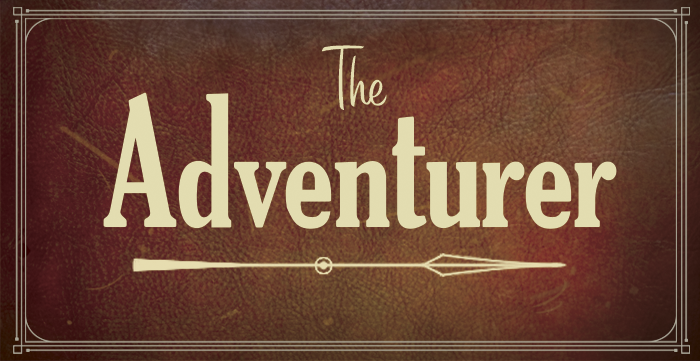 Want to join the adventure? Also, thank you. Like, a million times. If you want to learn more about my previous book, "Saturday", click HERE. 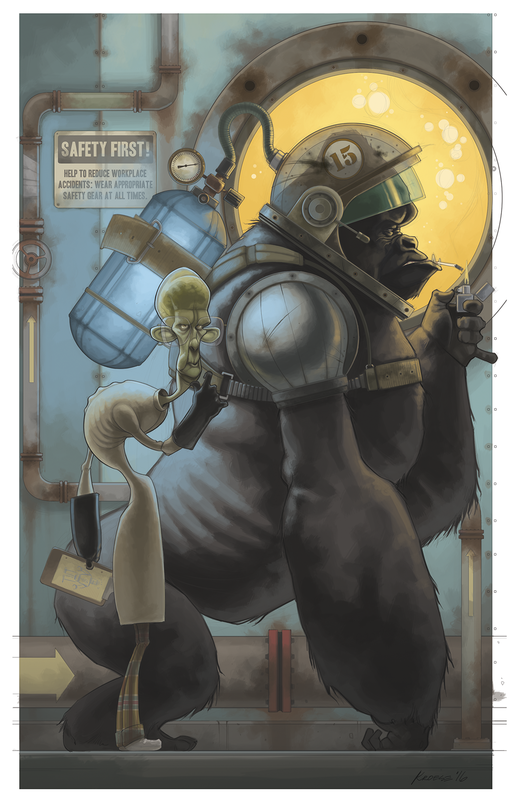 If you want to see some of my freelance illustration work, click HERE. You’ve got a talent for finding cool stuff. And when you finds it, you likes it. Somehow, your favorite stuff is always the stuff that holds up over time, too. Which is itself pretty cool. Like an under-the-radar superpower. What you get: Early updates! Like what? 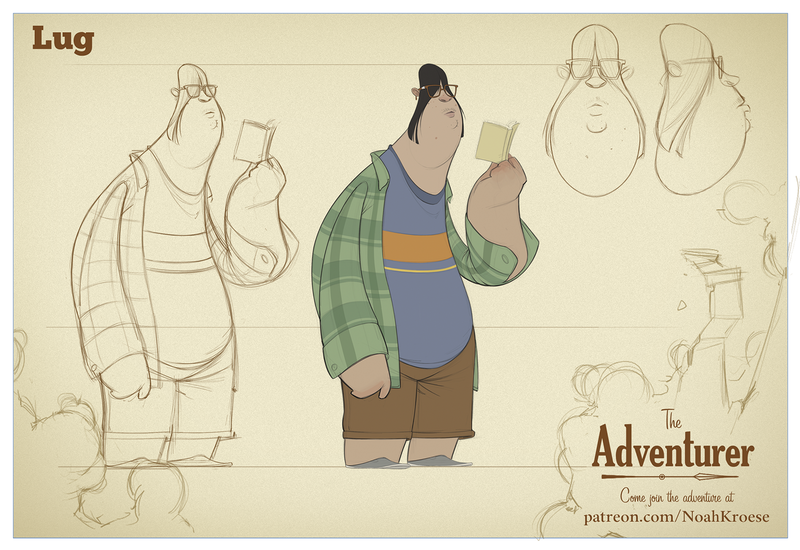 Behind the scenes snapshots, process sketches, brand spankin’ new panels, character concepts, finished pages, etc. See how it's made and see stuff before anyone else. It's like winning a golden ticket from Willy Wonka, except without the singing and horrible things happening to misbehaving children. What you get: All the previous rewards AND access to drawing videos featuring sketches, process drawings, screw ups, tips and techniques, my dumb face, insights into how and why I work, etc. People pay attention when you say you like something. That thing that everyone HAD to have last Summer? You knew about it way early. Just sayin’. What you get: All the previous rewards AND PDF Poster downloads (1/month). Print them! Hang them in your cubicle or dorm room or jail cell (no judgement). AND once a month I’ll answer your questions in video form about drawing, freelance illustration, making comics, how and why I do what I do, my astrological sign, etc. You don’t MAKE the things. You make the things POPULAR. You make people LIKE things. What you get: ALL THE PREVIOUS REWARDS AND your second month, I’ll mail you a signed copy of “Saturday” and all Saturday merch (stickers, postcards, etc.). If you happen to already have a copy and don't want a second one, I'll send you something else that's super cool. ON TOP OF ALL THAT, once a year I’ll draw something just for you. I don’t know what. But I'll figure it out and it will be special and unique and special. Like you. 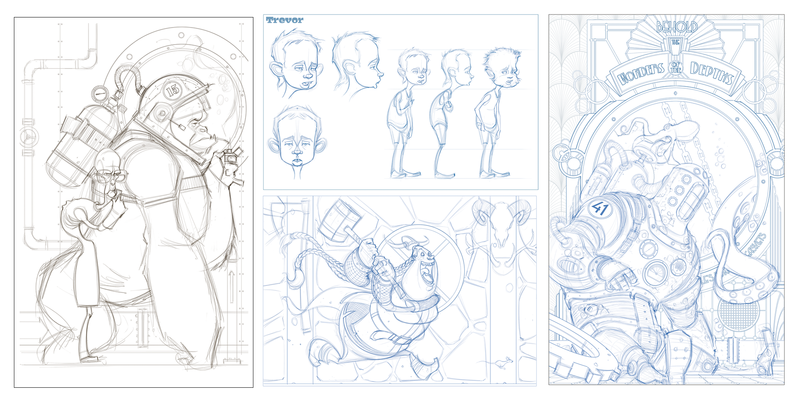 I’ll finish one new page layout sketch every month (and show you, of course). This is an intimidating thing to even write down. These pages take forever to draw. I may cry a little, but I’ll try to cry quietly so as not to make you feel awkward.